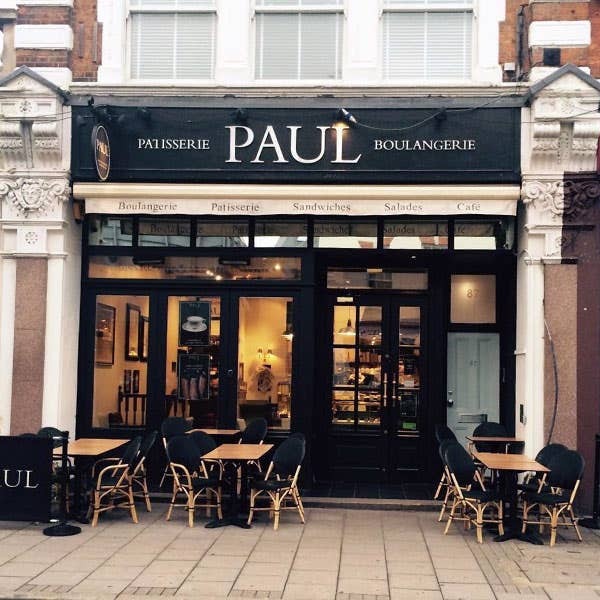 PAUL’s Bakery & Café can be found at 87 the High Street in Wimbledon Village. The High Street was part of the original medieval village. The Dog and Fox at the junction of the High Street and Church Road stands on a site occupied by an inn since at least Tudor times. Nearby Wimbledon Common covers 1,100 acres. Wimbledon is of course famous as the home of the All England Lawn Tennis Club and of the Wimbledon Championship, held in the last week of June and the first week of July every year. Wimbledon still feels distinctly like a village, with some very nice old buildings, a riding stables, a museum, chic shops and restaurants as well as the New Wimbledon Theatre and the Polka Children’s Theatre. Our PAUL branch has plenty of seating and is a popular local destination for breakfast, brunch, light lunches, sweet treats, coffees, teas and cold drinks, as well as freshly baked, hand made bread. The closest station is Wimbledon (District Line, Tramlink, National Rail). 32 seats are available. Disabled access is available. Free wi-fi.